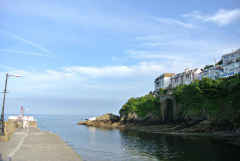 Tucked away yet just a minute to the beauty of St Ives seafront, Artists Harbour has been thoughtfully created for your luxury holiday beside-the-sea. 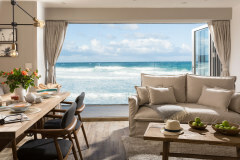 Offering 3 boutique style bedrooms and relaxed living spaces, feel right at home as you step out and explore the sights and sounds of this very special coastal town. 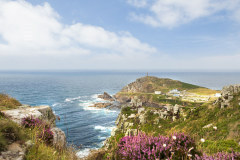 St Ives is the gateway to the West where beautiful seascapes and secret shores are easily explored including Sennen, Porthcurno, Land's End and Mousehole. Artists Harbour is set over 4 floors and offers a unique sense of space and light as you ascend. The entrance brings guests up the steps and into the 1st floor with a welcoming kitchen and dining space complete with original stripped wood flooring and soft browns and greys of the stone walls. The dining area offers the perfect place to enjoy a family catch up whilst the holiday menu is underway in the kitchen, the budding chef in the party will enjoy freshest of fish and fare that St Ives offers. A central staircase runs through the heart of the house, leading down to the ground floor where a spacious bedroom (Bedroom 1) can be set up for children to escape the adult chit chat or an indulgent super king haven for couples. The stylish bathroom with deep bath completes the ground floor. The living space is set on the 2nd floor where the sea comes into view, sink back in the sofa for a quiet sunny read or bring friends and family together for a cosy evening. The bunk bed bedroom is also on the 2nd floor. 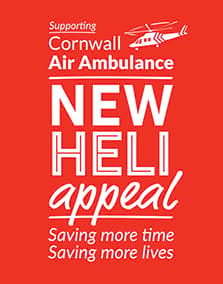 Climb the stairs to the lofty living of the master ensuite bedroom at the top of the house, open up the large window and soak up the sea and harbour views of St Ives. Artists Harbour oozes bespoke style from the cool blue furnishings of the living room to the spring yellow fabrics of the bedrooms, check into luxury and embrace the Cornish way of life. 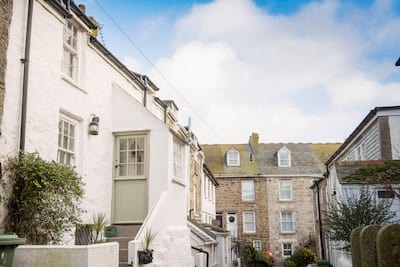 The beach and winding streets of St Ives are moments from your holiday door! After a day on the coast, arrive home to the back entrance to the house with outdoor space for surfboards and washing off those sandy feet. There is access to the ground floor from the street at the rear with an area for surfboards etc. 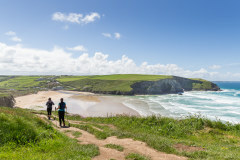 Quite literally a stone's throw away is the popular town beach were visitors rub shoulders with local fisherman and the day can be wiled away with the ebb and flow of the sea. 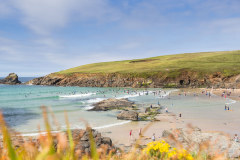 St Ives has so much to offer for for all the family, take to the water and learn to paddle board or surf, dip into the tempting collection of artisan shops and galleries, enjoy the local Cornish cuisine and sample some of Cornwall's local ales. 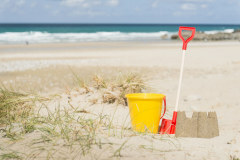 There are a number of beaches within easy reach from the white sands of Porthminster to the wilder surf of Porthmeor. Bamaluz Beach is dog friendly year round so your dog can enjoy a salty swim too. 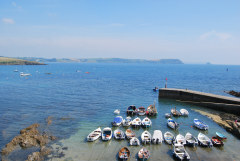 Take a day trip to the maritime harbours of Fowey and Falmouth or head up the coast to Port Isaac and Padstow. On the lower level there is a back door, perfect for sandy and salty toes to wash down at the outside tap. Artists Harbour is set over 4 floors. The bedroom on the 4th floor has a sloping ceiling in places. We had to tear ourselves away from this delightful well equipped house. It was light and comfortable with ever changing sea and town views. 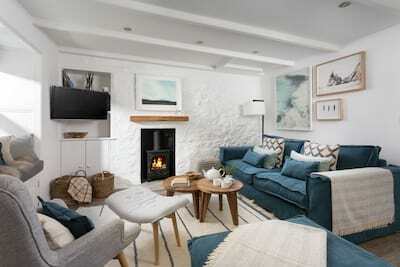 Artist's Harbour suited us perfectly With everything on our doorstep, the bars, restaurants, beaches and shops this cottage certainly lived up to our expectations of staying in such a classic Cornish fishing village. 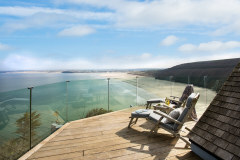 The house is clean, bright and spacious with fabulous views of the sea and the big Cornish skies.....and we loved the big comfortable beds and modern bathrooms. We had a few friends around for dinner one evening and the kitchen and dining area coped superbly, as did the dishwasher! The owner has thought of everything...we'll be back. Situated close to the sea front in the heart of St Ives, this gem of a place could not be in a more perfect location for anyone wishing to make the most of all St Ives and its environs has to offer. The house itself is tastefully decorated with original artworks by local artist which lend an original kooky charm to the place and sets it apart from the average self catering holiday let. It feels that everything about this place has been carefully considered to offer the ultimate feel good experience. We stayed in the top room with a spectacular panoramic view over the harbour which was magical. Comfortable king size plus bed, crisp cotton bed sheets, fluffy towels, en suite shower and a bath made our stay here unforgettable for all the right reasons. We’ll be back.